Computer Problems? Need PC Repair? Laptop Problems? 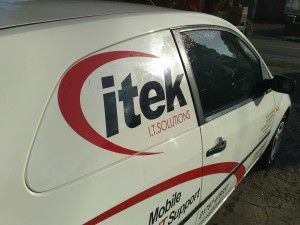 Based in Halstead, Essex, iTek IT Solutions Limited come to your home, office or business premises to resolve and repair any IT or computer related problems you may have at a budget that will not break the bank. If you require computer services in the Essex area or are looking for PC Repair in Essex then look no further! All work and services provided are 100% Guaranteed – check our Testimonials page for our client’s comments. Using the navigation menu above, feel free to select from the range of services available for more information. Note that free registration is required for access to certain functions of this website. Got a question or something you want to share? click here to visit our discussion forums.